Many refer to it as “Toneheim Field Band (FB)” but for us is another band, you can say it is an “evaluation Field Band”. This is because we are teaching our peers in this band, so all our skills, methods and abilities are tested and questioned. The learning environment for Toneheim FB is very different with other bands we have been or worked in, both in South Africa and Norway. We believe that this is because of the education system in Norway, where it is allowed for students to ask questions while learning, to a point where they have the right to argue with the instructor if they do not understand. In this environment we have noticed that it is essential to have a detailed plan when teaching, as it allows you the ability to answer all questions. The other reason that makes this band different is the age gap, as they are the same age as us. Nevertheless we have proved one of our beliefs about Toneheim students, where we believe that most students are used to sight reading music while sitting down or standing still. We did our first seminar with them and taught them one of the typical South African field band songs. Most students were excited about the seminar some said it was mind blowing to do something out of your comfort zone and still have fun. Most communities here use music to bring people together and with a dash of African touch everything becomes special and poses a sense of true meaning because people share common initiatives. So as we have started with the foundation at Toneheim FB, we intend on adding layers and appreciating all the differences and learning from them, as we teach and grow together. As much as we are in Norway to represent The Field Band Foundation and work on the Pulse project, we carry our identities with us! These identities have also served as a tool of communication for us and earned us respect. Being a black South African in Norway is really recognized. We have found a group that sings South African music and we are planning on doing seminars with them, as we build a hopefully long lasting relationship. 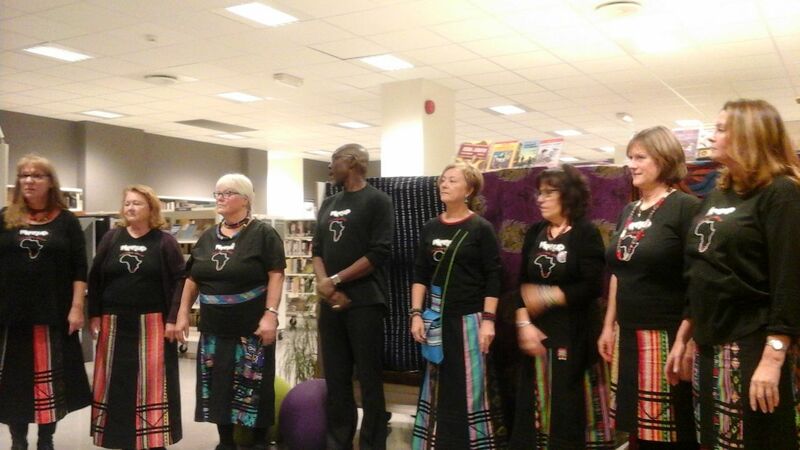 NORWEGIAN singing group WITH REPERTOIRE OF THE SOUTHERN AFRICA. The singing group was established in 1987 as part of the struggle against apartheid in South Africa. Their repertoire consists of battle songs from the apartheid era, work songs, religious songs, festive songs, love songs and children’s songs. The songs are learned mostly without the use of notes and they sing in the original languages ​​and many of the songs have movements and dance steps. Most songs have been learned through contact with choirs and resource persons in South Africa. As therefore we are in Norway now, we are going to spend some time teaching our South African music and dance to these Legends. A seminar with groups like these can serve as an evaluation tool of our abilities and interest in community development, and we look forward to sharing our musical and life skills with them.